Community Mediation: Provides mediation in disputes such as neighbor-neighbor and tenant-landlord cases. Rate based on a sliding-fee scale. A $25 administrative fee per party applies. Family Mediation: Provides low-cost mediation services relating to separation, child custody, and divorce, by skilled mediators. Rate based on a sliding-fee scale*. A $50 administrative fee, typically divided by the parties, applies. Real Estate and/or Workplace Mediation: Assists disputants in resolving conflict in real estate or employer-employee disputes. A flat hourly rate and a $50 administrative fee per party applies. Magistrate’s Court Mediation: Provides volunteer mediators to Magistrate’s Court to save time and cost in court trials and legal fees. For those with cases at Magistrate’s Court, it gives the opportunity to resolve their dispute using mediation rather than going to trial. Volunteer Mediator Training and Conflict Resolution Training – Please see Training page. As practiced, mediation is a confidential, non-adversarial and voluntary process through which a mediator hears a dispute between two or more individuals and facilitates the discussions and decisions that may lead to an agreement. The mediator remains neutral and does not decide who is right or wrong, but helps foster a discussion about issues that are important to both parties. The actual decisions reached are up to the parties in dispute. Mediation is a means by which people involved in dispute are helped to respectfully and peacefully resolve their differences. Through mediation, the parties retain control of the decision-making process. Going to court, on the other hand, is often lengthy and unnecessarily expensive. Once the dispute reaches the courts, parties often lose control of the decision-making process. For mediation to be most successful, the parties should be willing to participate in good faith to reach a settlement. This does not mean a positive outcome will be achieved in every situation. MMC mediators work with all parties until an agreement is reached or until it becomes apparent that an agreement will not be reached. Often, parties in a mediation experience improved relationships, even if an agreement is not reached. Mediation is a voluntary process. Any party may terminate the session at any time. Attempting mediation does not block access to the court system. $30,000 – $39,999 = 60.00/hr. In addition to the hourly fees for mediation services, each party typically splits MMC’s $50 administrative fee. For information or assistance, call 803-714-1176. 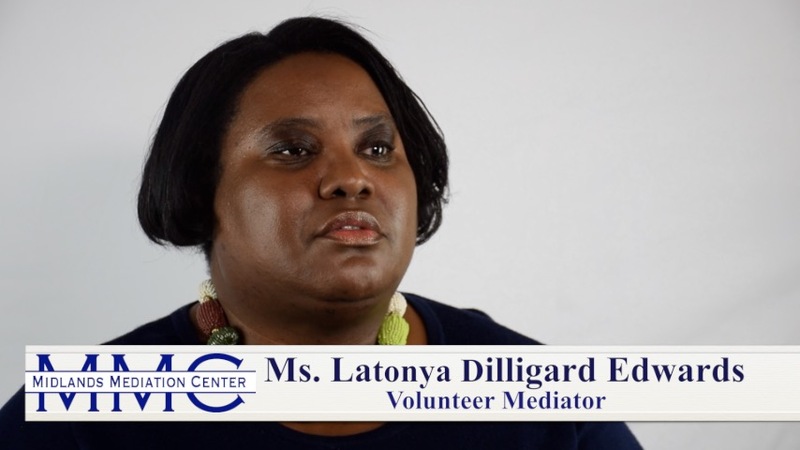 The mission of the Midlands Mediation Center is to help individuals and organizations resolve conflict, improve relationships, and strengthen communities.